I love your jacket! 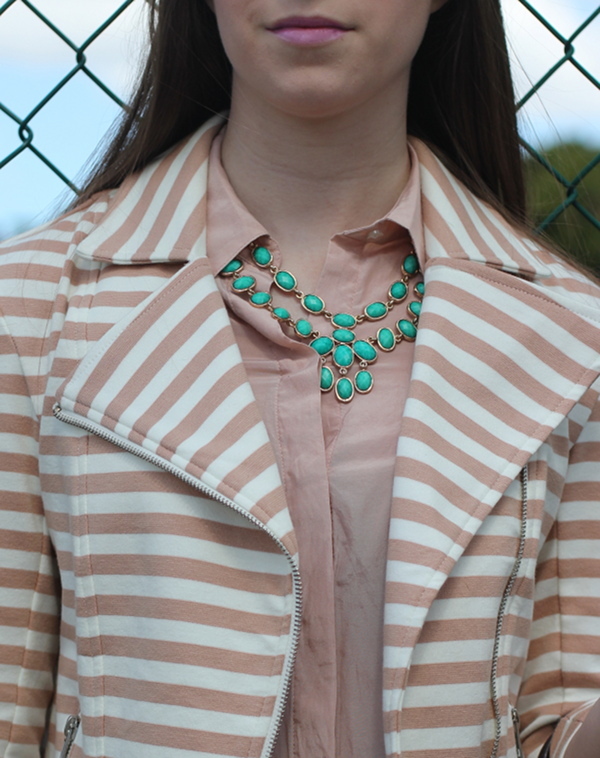 I've been on the fence about whether I should purchase a striped jacket or blazer, and the more I see them on others, the more I want to get one of my own :) I also love all your little pops of turquoise! Very unexpected and exciting. Great outfit! I love the neutral color and pop of turquoise. Stopping by from link up. I'm with you, I haven't been completely sold on my foundation primer I'm currently trying. Maybe some brands are better than others? hmmm...I guess I'll have to wait and see! Love the stripes! I love the color combos in your outfit! Oh oh ohhhhh I want to see pictures of all this organization! I can't seem to find a jewelry system that works.